This blog post is mainly to draw attention to the brewing problem with using Font Awesome v5 in your WordPress Plugin or Theme. 2. The main brewing problem with using Font Awesome in WP these days is that FA v5 introduced a new way to use it, in FA v4 it was always just a CSS file but now it can be used either as a CSS file or as a JS file. This is fine for “Joe Blogs” with his html website but once you are using a CMS (content management system) like WordPress which has plugins built by many many devs you have the situation that both the CSS and the JS can be used and this can lead to many problems. tag, this is not by its self a problem but the problem is when developers have been using just the CSS version and either style for that tag or use JS to fire a onclick method on that specific tag or even on a link or button which in all cases your going to have a bad time. tag and so again it does not fire. 1. Developers, please name your scripts “font-awesome” when you enqueue them. (i know you might run into version issues but its likely far less of an issue than if you load it twice). Great post, Stiofan. Extremely helpful … and the plugin too! You ROCK! Does WPGeodirectory V2 check to see if the Font Awesome library is installed? 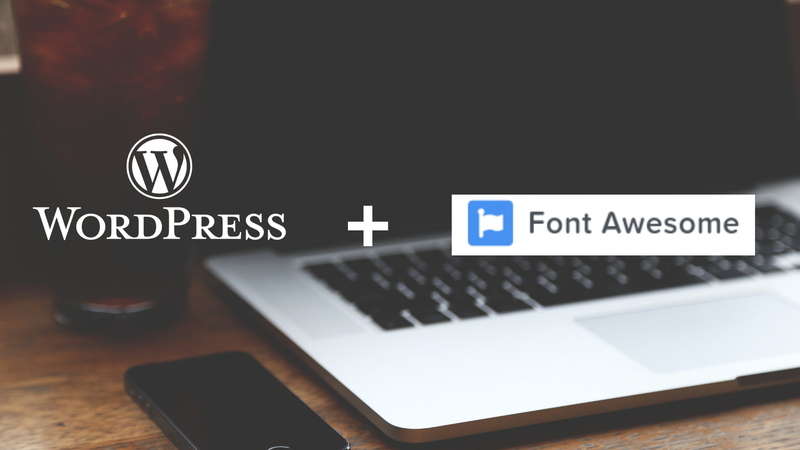 We use a plugin, WPFont Awesome, to install the it for our theme. Making a theme require a plugin is not my preferred option, though it is one way to tackle it. Its very basic just now and does not fix the other issues that the JS version introduces but if it comes to that maybe i can add something to tackle that in future if theme devs don’t convert fast enough.